This disappointing result comes just days after the release of WWF's Living Planet Report 2018 that warns of the serious state of the planet and the critical need for greater action by governments worldwide to protect nature globally. Hobart, 2 November 2018 - The international commission which decides on conservation plans for the oceans surrounding Antarctica has once again failed to deliver increased protection. This disappointing result comes just days after the release of WWF's Living Planet Report 2018 that warns of the serious state of the planet and the critical need for greater action by governments worldwide to protect nature globally. The 37th meeting of the Commission for the Conservation of Antarctic Marine Living Resources (CCAMLR) wrapped up tonight after considering proposals for marine protected areas in the Antarctic Peninsula, Weddell Sea and East Antarctica. Yet, the 24 nations plus the European Union (EU) which make up CCAMLR could not agree on any of them, leaving these important marine areas and the species inhabiting them vulnerable to further damage. “This highlights a lack of commitment towards conservation of the region,” said Chris Johnson, Senior Manager, WWF Antarctic programme. “This week WWF’s flagship Living Planet Report highlighted concerning climate impacts on penguins in Antarctica. “We’re in a race against time to protect these waters before it’s too late. “Antarctica and its iconic wildlife are showing signs of stress. The creation of a network of marine protected areas is crucial to help safeguard Antarctic wildlife for years to come and help increase the resilience of marine ecosystems to climate change,” said Johnson. In July 2018, WWF welcomed the pledge by krill fishing companies to voluntarily stop fishing in parts of the peninsula near penguin colonies in the upcoming fishing season and their support for the creation of an MPA. Even with these voluntary closures, krill fishing still overlaps with humpback and minke whales feeding in the peninsula. “Leaders in the krill fishing industry and environmental groups support marine protected areas. It’s extremely disappointing that governments can’t deliver,” added Johnson. 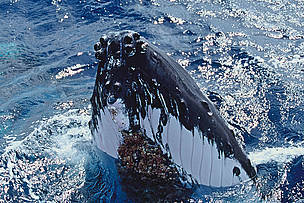 WWF helped to achieve ban on mining on Antarctica as well as helping establish the Southern Ocean Whale Sanctuary. In terms of marine protection, back in 2002 WWF helped create large marine reserves around the Macquarie Island, and Heard Island and McDonald Islands, and in 2006 supported the first bioregionalization of Southern Ocean waters. WWF was a crucial part of establishing the Ross Sea MPA in 2016. Humpback whales migrate from Antarctica to Tonga every winter to mate and give birth.